BRANDON - The Whiteout is growing! 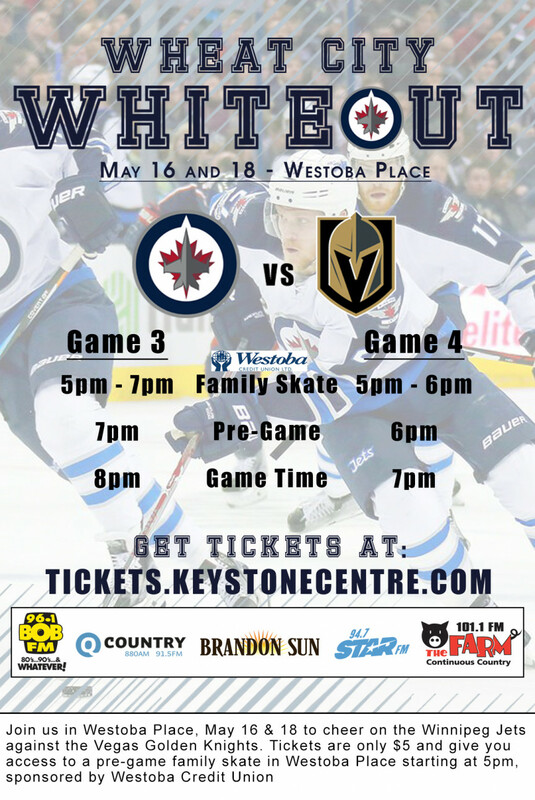 The Keystone Centre announced today the Wheat City Whiteout Viewing Party for Games 3 and 4 of the Western Conference final. Tickets for both games are just $5.00 and it includes admission to the Westoba Family Skate prior to each game. "our community was asking for this even and it fit", said Jeff Schumacher, General Manager, Keystone Centre. "There are a lot of ties to both teams in this city and region and the series will be exciting for us all to watch together in our arena." Tickets are available online at tickets.keytonecentre.com or by phone at 204-726-3555.